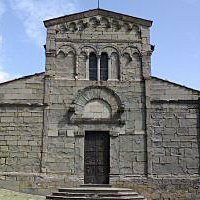 Approximately 40 km from Villa La Bianca, Capannori lies in the heart of Tuscany between the highlands of the Pizzorne, Pisan mountains and the plains of Lucca. Capannori’s origins can be traced back to the first Roman settlements, occurring at the end of a long war between the 3rd & 4th centuries BC when Rome fought against the tribes of the Ligurian Apuan alps, although archeological artefacts predating this period have also been found. The Capannori territory comprises forty communities, each with their own characteristics that make them unique. One such place is Frizzone, with its 6th Century BC Etruscan steel route, the oldest cobblestoned street in Europe. Of particular interest is the archeological area of via Martiri Lunatesi, a short walk from the historical centre, which represents the most important evidence of Capannori’s Roman period. Within the Capannori territory one can find part of Botaccio’s WWF Oasis, a natural protected area that falls within the artificial flood plain of the Rio Visona of Castelvecchio, one of the numerous streams that flow from the Pisan mountains Walking along the streets of the town one can see various churches, among which are worth a mention; the Church of Siants Quirico and Giuditta, which is also Capannori’s parish church, founded in the 8th Century; the Abbey of Saint Bartholomew in Cantignano, founded in the 7th or 8th Century by the monks of San Colombano; the Church of Saint Colombanus, that rose from the remains of the ancient Lombardic monastery dedicated to the Irish missionary saint, founded by the monks of Bobbio; and the Pieve di San Paolo, certainly the oldest church of the area, though the date of construction remains unknown. In the Capannori area there are also around 150 villas of differing sizes, the stand out ones being: Villa Santini, today known as Villa Torrigiani, one of the most luxurious and scenic villas of the Lucca area; Villa Reale di Marlia, one of the most famous in the surrounding areas of Lucca; and Villa Mansi in Segromigno in Monte.